Let's unbox PlayStation Classic... and answer all those burning questions you've been asking. PlayStation Classic launches December 3 for $99.99 ($129.99 CAD)! As you probably could have guessed, we’re big fans. So, we did a little digging around PlayStation HQ to find answers to some commonly asked questions about our new mini-console. Think of this as an Ultimate FAQ — just… smaller. Q: What is PlayStation Classic? PlayStation Classic is a new mini-console, built to celebrate the rich heritage of the original PlayStation. It has been designed to closely resemble the design of the original console in a much smaller form factor, and is preloaded with 20 games from a wide variety of genres. It includes two wired controllers, and will be available December 3, 2018 for $99.99 ($129.99 CAD). Q: How big is PlayStation Classic? How much does it weigh? PlayStation Classic measures 5.8″ x 1.3″ x 4.1″, which is a 45% reduction in size from the original console. The footprint of the mini-console is smaller than a PS4 game case. PlayStation Classic weighs approximately 6.0 ounces, and each controller weighs approximately 4.9 ounces. 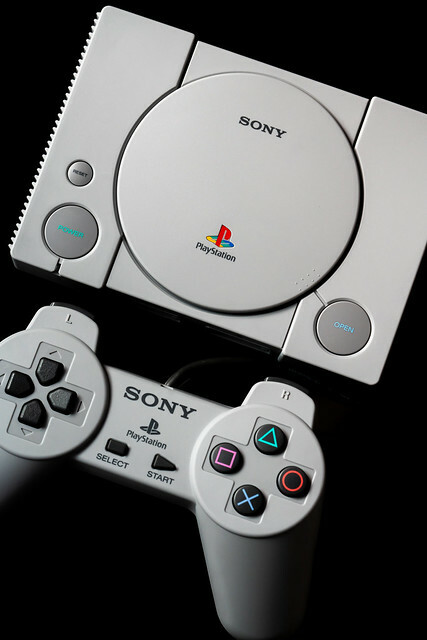 Q: Which games are pre-loaded on PlayStation Classic? Q: Which PlayStation Classic games support two-player multiplayer? Q: How long are the cables for the system and its controllers? The included HDMI cable is 2.0m / 78.7″; both included controllers have cables measuring 1.5m / 59.1″. Q: Which cables can I use to connect the console to my TV? PlayStation Classic ships with an included HDMI cable, which you can use to connect the system to your television. It does not support any other video or audio output methods. Q: Can I use DualShock 4 with PlayStation Classic? How about PS2 or original PS1 controllers? PlayStation Classic is only compatible with official PlayStation Classic controllers. Q: How do disc changes work? In games that originally shipped on multiple discs, like Final Fantasy VII and Metal Gear Solid, when you reach the end of a “disc,” press the “Open” button on the PlayStation Classic console to transition to the next virtual disc. Q: How do memory cards / save states work? Each title can support up to 15 virtual memory card slots, which you can manage from the console’s main UI. 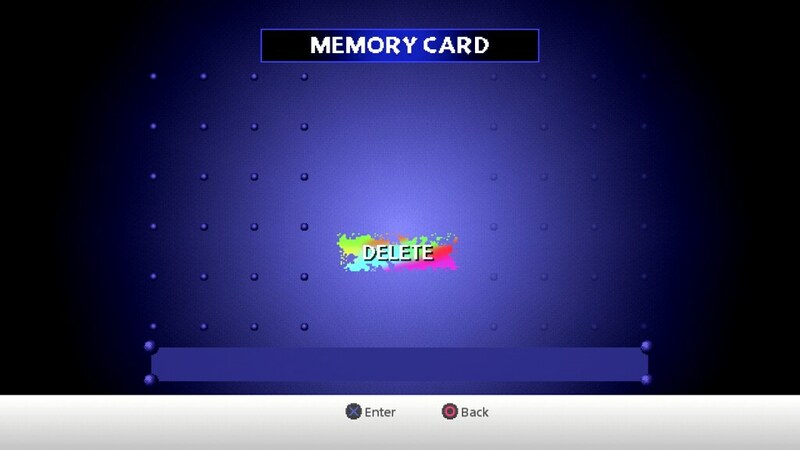 Just like the original PlayStation, once you delete a save file it fades away and cannot be recovered. 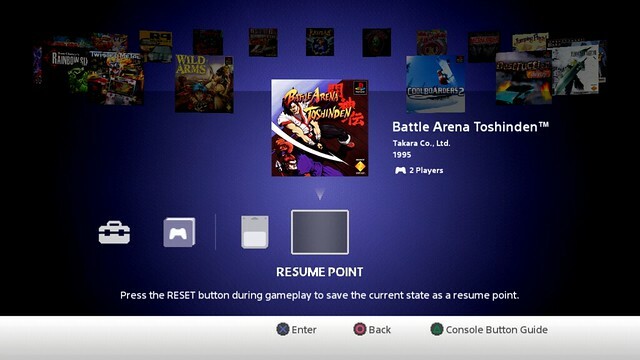 Additionally, pressing the Reset button on the PlayStation Classic console will bring you back out to the system’s main UI, creating a restore point wherever you left off in the game you were playing. Next time you play that game, you can return to the Restore point you had created before. Q: Can I use the System Link feature to link more than one PlayStation Classic together? 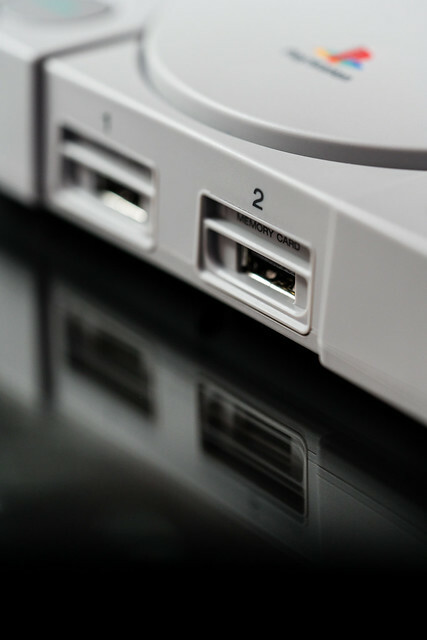 System Link functionality is not present in PlayStation Classic. You can, however, make use of split-screen multiplayer in supported games. 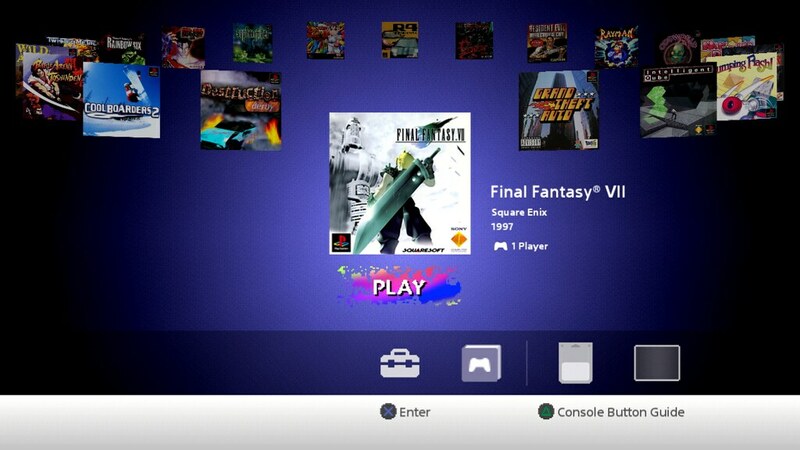 Q: What does the user interface of PlayStation Classic look like? 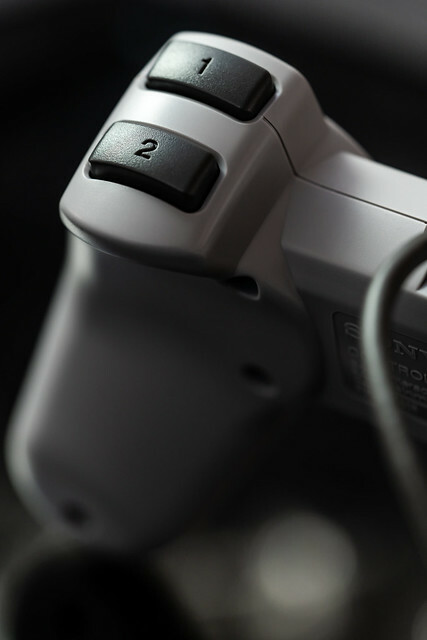 Q: What kind of power source can you use with PlayStation Classic? Can I use my phone charger? 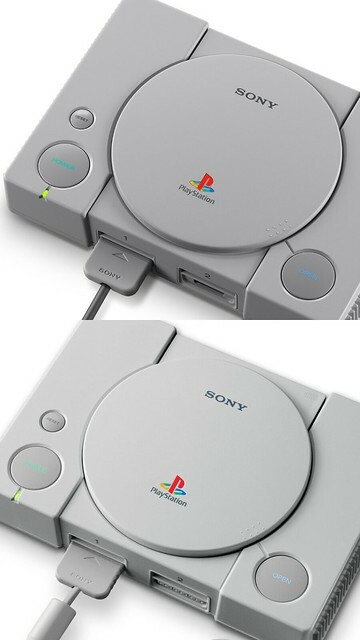 Use the included USB cable to connect PlayStation Classic to a USB power source that supports 5V, 1.0A (minimum) output, such as a USB AC adaptor (not included). Q: Can I connect to PSN to download new games to PlayStation Classic? PlayStation Classic is a plug and play offline experience, and as such cannot connect to the internet. There are no plans to bring new content or updates to PlayStation Classic post-launch. Q: Can I buy extra games for the PlayStation Classic? The PS Classic is preloaded with 20 of the best games from the original PlayStation. It is not possible to purchase additional games for PlayStation Classic. Q: Can the PS Classic read discs from the old PS1? 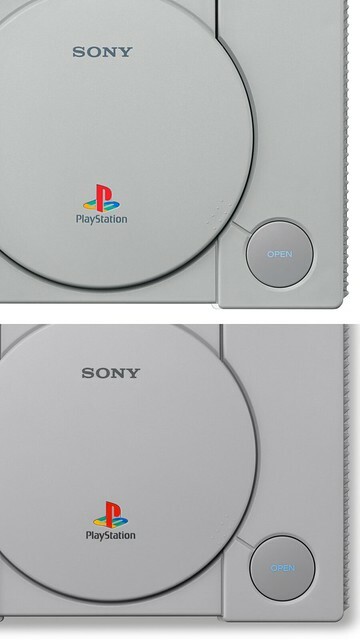 The PS Classic is 45% smaller than the original PlayStation and does not have a disc drive. All 20 titles are contained in the PS Classic’s internal storage. 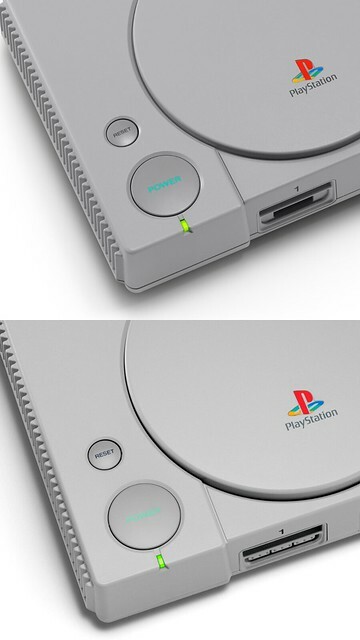 Q: How closely does the design of PlayStation Classic match the original PlayStation? Will the PS Classic include the original startup sound? Yes. Once you switch your PS Classic on, you will hear the iconic startup sound. Where can I buy PS Classic? The PS Classic will be available at major game retailers starting December 3. Will the PS Classic perform upscaling? The PS Classic outputs video in 720p or 480p — your display device may also perform some upscaling depending on the model. Does it come out Dec 3 or Dec 13? In the opening paragraph, it says Dec 13th but in the first question it says Dec 3rd. i also wish this, or remove it and add Armored Core from the Japanese Release. it would be so much better if they did it… i haven’t even heard of the Puzzle Fighter game. Super Puzzle Fighter 2 Turbo is actually pretty fun. It was a very limited release here in the states. I’ve only played the demo. My friend was a PlayStation Underground member and it was on one of the demo discs. We tried to get the game but the only copys we could find were well over $100. Its like Tetris but when you complete rows your fighter would attack the other person. Attacks varied depending on the rows you matched. It would also drop blocks on your opponent side and make it a lot harder for them. We had many a good battles playing the demo. *raises hand* I heard the gif. Got mine on pre order and it says 12/3. I’m in the US. Full remake, full remake, remastered. I would’ve put Um Jammer Lammy in there though. And if Activision isn’t working on a Crash Team Racing remake, I would’ve included that in the here. But I didn’t get to pick the list, and who knows if Sony’s got the licensing in order to include Lammy… And Activision has always been a stingy company [see no Spyro or Crash in PS All-Stars]. So did Resident Evil and Oddworld so that’s not the reason. They really should of included them since they are some of the most iconic games for the system. Man that UI is ugly as sin. Not sure what I was expecting though… where’d the XMB guys go? Bring them back. Save us from “modern” [terrible] design. Looking forward to this, just wish Tomb Raider was in it and annoyed that Japan gets Parasite Eve and we don’t. But nobody was ever going to be happy with the lineup. It could be 20 of the best, most popular games ever on the platform and people would still complain. It could be 50 and it would still be people complaining. It is what it is. The only thing that will make this thing worth it is if it’s hackable and you can upload as many games as you want onto it. That small library is not worth $100 at all, especially when I can still play my huge library of PS1 games on my PS3. No point in saying this, dude. It’s clearly not for you. I said the same of the NES and SNES classic because I have a Wii U. But, the game list is actually pretty cool and there are a lot of titles that aren’t on PSN like IQ. I’d love to play some of these, so it’s cool. Also, if it gets a lot of support, maybe a second gen or a PS2 classic could happen. Remember bro it wasn’t rows. You had to make jewels by combining blocks in 4. Also by adding more blocks of the same color your jewels would get larger. The game then would release break orbs to take down various colored jewels you had created. An if you had stacked your jewels right you can break a bunch at one time. You would send them to your opponent in time blocks that are only accessible when your opponent has placed enough blocks down to access the ones you sent flying over. Very fun game I’ve had serval copies of it and I have it from the PSN store on my ps3. I would play this game for hours with friends. Last time I checked this is the US, why the heck are we getting PAL versions of games? Are they limited to 50HZ? This is silly. I am most likely going to cancel my preorder. What a waste of time. If you’re unhappy with the lineup or PAL versions or the value, please cancel your pre-order. This will allow the people who see value, a chance to get one. At $5 a game, it includes a cool retro styled box and the hardware to match. It has two controllers and it looks beautiful on a shelf. If you are mad about this, this toy/collectors item isn’t for you. I can’t wait to get mine. Yeah if the NA version is going to have PAL 50Hz games on it then I’m out. Sorry Sony but a little more effort would have gone a long way. Just think If they would have pushed the PlayStation TV (vita tv) as hard as this junk, just imagine where it could be… It really was perfect for this. It has DS4 support, can remote play, has access to PS1, PSP and Vita titles, it also had PS Now support for a while.. Sony really should have pushed it harder. They could have written an app that displayed all of your classic titles all wrapped up i a single location so you could launch games effortlessly. Just like this.. Would have saved a lot of overhead and manufacturing costs. Yeah. That would have been nice. PSP games on ny TV was super awesome…. Not critical of the decision to include PAL versions of some of the games here, but will we notice any differences? Yes, that means the PAL region games will effectively run slower then the NTSC USA or Japanese versions of the same games. If you need an example of what to look forward to look up a video on YouTube that compares NTSC Sonic the Hedgehog, and the PAL version. No Symphony of the Night, no sale. How long until we can hack it and add games? Nobody knows. The darn thing just came out. But I’m pretty sure they find a way to load games from a USB drive. Is this based on the PS Vita motherboard? The PlayStation TV (also based on the Vita motherboard, known as the Vita TV in Japan) mysteriously was limited to 720p as well. its based on a Mediatek System-On-Chip processor. They’re not even using their own emulator, they’re using the open source emulator pcsx. These are not the best 20 games and the lack of of dual shock 1 is awful. Tomb raider, resident evil 2 and 3, crash bandicoot. Well, that’s a big “preorder cancelled” for me. Not putting up with PAL nonsense. Sorry, but whatever genius decided to put 50 Hz PAL versions of games on a 60 Hz console is an absolute idiot. Pre-order cancelled, I would have appreciated a little more effort for the $100 price tag, especially when there are less games than competing, cheaper “Classic” consoles. Also, this selection is NOT indicative of the “best games” on the original PlayStation. There are several key titles missing, and you know this, Sony. But of course you’re not going to include the original Crash Bandicoot, MediEvil, Resident Evil 2, or Spyro, as those are part of your recent remakes line-up. Lord knows people would never buy the remakes if the originals are available. (That was sarcasm, by the way.) But where’s Tomb Raider 2? Legacy of Kain: Soul Reaver? Parappa The Rapper? Silent Hill? Twisted Metal? I’m sorry, but this product is just absolutely tone-def and lazy. And considering how many people I know or have stated they’ve canceled their pre-orders, it seems the general consensus agrees. Let me start off by saying that I love PlayStation. However i wouldn’t have felt right if I had chosen not to comment. This list is trash. Y’all could have not released this product with said games. Where is Spyro, Crash, Mortal Kombat 4, Ninja Gaiden, WWF Smackdown, Street Fighter Alpha 3, etc. there’s no excuse for this product being released as is. So what confuses me is that the official sony youtube channel where they have a video of them unboxing it shows on the box usb ac adaptor not included but their employee lied and said it comes with one, which is it? I cannot for the life of me comprehend why you would include the 25/50hz PAL versions in a system designed for HDTVs, where the refresh rate discrepancy has been long since abandoned. That makes no sense. I was fine with the lack of analog sticks. I was fine with the games lineup. I’m not fine with this. That is actually really dumb. And for basically half the lineup? Come on. If anyone reading this is in Canada, Best Buy will have at least one extra unit available if this is a thing that doesn’t bother you. I hope you enjoy it. Pretty much all the major retailers here have had plenty of available pre-orders for a while. No umbox do canal do You Tube PlayStation Japan , fiquei muito surpreso ao ver opção de indioma português do Brasil . Achei que não teria , não vi no Blog PlayStation do meu pais o anuncio oficial do console . Os fãs e colecionadores vão adorar isso . Pena que os jogos não serão traduzidos . Pena maior ainda não ter um jogo de futebol como Winnig Eleven . Nós da america do sul ( america latina ) , gostamos muito de futebol . Unfortunately, I’m not purchasing this (at $100) neither. Simply, the cost to value ratio isn’t equivalent to today’s standards. This would’ve been a must buy with 40 games included, requiring fan favorites like MK Trilogy, Gran Turismo, Xenogears, Legend of Dragoon, Jet Moto, Chrono Cross, Street Fighter Alpha 3, and MK (Sub-Zero) Mythologies, etc. I’d love Sony to try this again as a DualShock version 2 or PS2 classic with proper fan input. Just have fans vote on a list of nominees. It’s easy. The cost to value ratio is one of the only problems this thing DOESN’T have. At $6-10 per game, a $100 system comes in cheaper than buying all the included games as PS1 Classics on PSN (aka today’s standard for purchasing those games). Except you get a system, and two controllers, and some of the games aren’t actually available as PS1 Classics on PSN. Also congratulations on being perhaps the only person alive who thinks Mortal Kombat Mythologies: Sub Zero is actually a good game. In a world of IOS, Steam, and general over saturation my statement stands true. And, I’d take Mythologies over most of the games included. But thanks anyway. Enjoy your purchase. I’m glad the pal info was released, its alot easier cancelling a preorder than trying to get a refund after the fact. This bait and switch is why people preach not to preorder. It can’t be stated enough times that a quarter of the games on this list are ones most people don’t associate with the PlayStation brand, mixing pal and nstc versions is unacceptable and this whole thing is a major slap in the face of everyone that bought into the PlayStation tv platform which was never properly supported. Go to the pawnshop get yourself a used cheap ps1 console. Shine it up really nice and place it on your shelf . Because thats all this thing is good for, just for show an ornament..
Where can I order the Japan version with the superior games? Try PlayAsia. Amazon.co.jp and Amazon.com doesn’t currently have it in stock. Sony made too many poor decisions this year. Especially with the Fortnite crossplay ban and their censorship of Japanese fanservice games. But this is way too much. Seriously why the PAL versions? Also what the hell is with the new censorship policy? is it going to be out for a limited time [excluding future selling or what not] or will it be out for like a good few years or will it be only for a few months day weeks or what ever??? Intelligent cube is an awesome game. Think i will wait till the price drops after xmas. Digital Foundry’s first impressions aren’t looking good. I cancelled. This could have been awesome. Out already out at my local wal mart i actually pick one up last night…LMFAO!! 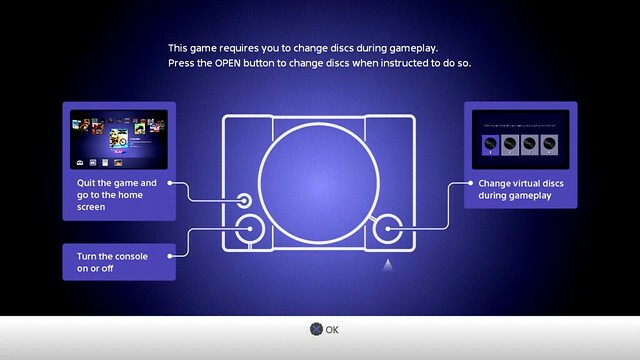 If they really wanted to be nostalgic, the UI should’ve looked like the Demo Disc that use to ship with PlayStation. I thought those video preview windows were the coolest thing ever, and I remember playing the crap out of the Twisted Metal & Parappa da Rapper Demos. Why are some of the games on the US release using the PAL 50hz standard which will cause frame rate issues on U.S. TVs ? Using PAL versions for half the games is a straight-up insult. I guess I’ll buy an original PlayStation instead. In regards to some games being based on the PAL (50Hz) versions I will take a guess at why this is the case..
1. Many PAL versions of these games came out later than their Japanese and North American versions. Often times the newer revisions of these games would include enhancements and bug fixes. So in doing this, one would assume they would want to use a version with less possible bugs. 2. Many PAL PS1 games run at the same speed at their NTSC versions. There are some games which do run slower, but I’m guessing they are not the ones listed here. what?? chrono cross is not even there …….. The PS1 Classic is a joke! It uses the same open source emulator that a Raspberry Pi uses. Why would you pay $100 for a PS1 Classic when you can buy a Raspberry Pi for $35? And the PS1 Classic game library is pathetic. No Crash Bandicoot, Spyro, Tomb Raider, Grand Turismo, Driver, Legend of Dragoon, Final Fantasy 8 and 9, Resident Evil 2 and 3.